Carl Jung understood that psychedelic substances provide access to the deepest realms of the unconscious, and Jungian psychology provides penetrating insights into psychedelic experiences. With the resurgence of research into the therapeutic potential of substances like LSD, psilocybin, and MDMA, the time is ripe for discussing the rich relationship between psychedelic research and Jungian psychology. Scott Hill will first cover Jung’s explanation of psychedelic experience and the challenge of integrating unconscious material released during a psychedelic session. He will then discuss difficult psychedelic experiences (“bad trips”) in the light of Jung’s approach to trauma, the shadow, psychosis, and transformation. Dr. Hill will also consider the transformative potential of psychedelic-induced religious experiences. Dr. Hill’s presentation will include dialogue with Dr. Alan Ruskin and Dr. Charles Garfield and opportunities for audience contributions. Scott J. Hill, PhD, is an independent scholar specializing in psychedelic and Jungian studies. He is the author of Confrontation with the Unconscious: Jungian Depth Psychology and Psychedelic Experience. He holds degrees from the University of Minnesota (BA, psychology; MA, educational psychology) and the California Institute of Integral Studies (PhD, Philosophy and Religion, emphasizing Jungian psychology). Charles Garfield, PhD, is a Clinical Professor of Psychology in Psychiatry at UCSF Medical School. He is also a visiting scholar at Graduate Theological Union; founder of SHANTI; and a mathematician on the Apollo Eleven first lunar landing. He has published ten books, including, SOMETIMES MY HEART GOES NUMB: Love and Caregiving in a Time of AIDS; PSYCHOSOCIAL CARE OF THE DYING PATIENT; STRESS AND SURVIVAL: The Emotional Realities of Life Threatening Illness. Alan Ruskin, PhD, is a licensed psychologist and Jungian analyst in private practice in San Francisco and Mill Valley. As a member of the C. G. Jung Institute of SF, he frequently teaches for candidate seminars and public programs. His areas of special interest are Dreams, Synchronicity and Dissociation. The C.G. Jung Institute of San Francisco is accredited by the Institute of Medical Quality/California Medical Association (IMQ/CMA) to provide continuing medical education for physicians. The Jung Institute of San Francisco takes responsibility for the content, quality and scientific integrity of this CME activity. 4 AMA PRA Category 1 Credits™ are offered for this event. 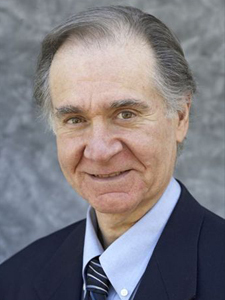 Brief Bio : Charles Garfield, PhD is a Clinical Professor in Psychiatry at UCSF Medical School. He is also a research scholar at the Graduate Theological Union, founder of SHANTI, and was a mathematician on the Apollo 11 first lunar landing. He has published ten books, including Sometimes My Heart Goes Numb: Love and Caregiving in a Time of AIDS, Psychosocial Care of the Dying Patient, and Stress and Survival: The Emotional Realities of Life-Threatening Illness.